The wait is over LWRC is releasing the LWRC REPR MKII 6.5 Creedmoor Elite Tungsten AR-10 Rifle with Proof Research Carbon Fiber Wrapped Barrel at the NASGW and 2018 Shot Show in Las Vegas. This LWRC REPR MKII 6.5 Creedmoor Elite Tungsten Rifle comes with a Carbon Fiber Wrapped Barrel that is a light weight rifle over its steel barrel counter part, optimized for longer range shots past 1000 yrds and out to 1700yrds+. It has a ballistic advantage over the 308 cartridge, once you past 500-600 yards as far as bullet drop is concerned, and the ability to shoot past that 1200 yard mark were the 308 fizzles out. LWRC REPR MKII 6.5 Creedmoor Elite Tungsten comes with a 22 PROOF Research Carbon Fiber Wrapped match grade Barrel with 1:8 twist, and Precisely torqued Barrel in their factory to consistent torque settings. The LWRC REPR MKII 6.5 Creedmoor Elite comes standard with a tunable gas block, and a short stroke gas piston system to deliver unparalleled reliability and ease of maintenance. It also gives you the ability to close the gas piston system to shoot like a bolt action rifle, or Hand charge each shot individual. Also giving the shooter the ability to fine tune the gas-system for different ammunition grain weights. Fully ambidextrous controls, Bolt Catch, Mag release, Charging handle and Safety selector. This makes the LWRC REPR MKII 6.5 Creedmoor Elite Tungsten AR 10 Sniper Rifle the ultimate Long Range Rifle Platform. 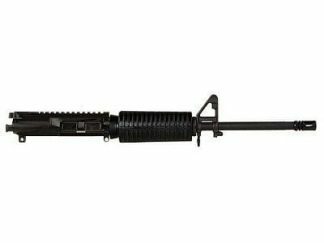 Xtreme Guns and Ammo is the Nations Largest LWRC Dealer with largest in-stock selection of LWRC REPR MKII 6.5 Creedmoor Elite Tungsten Rifles at the Best Price.